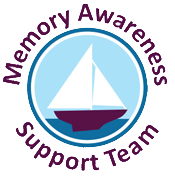 MAST was set up to create a centre of excellence with the aim of reaching out into the community to provide up to date information and advice on all forms of memory loss. We help family members, staff, and organisations to have a better understanding of each type of diagnosis, associated behaviours and also how to approach and relate to individuals to maintain the best possible level of care, communication and quality of life. MAST meetings help family and friends build on their knowledge and understanding of dementia, develop new skills and access practical help. The sessions are held across a number of our homes and are open for anyone to attend, free of charge. Each meeting starts with a presentation followed by a question and answer session, with plenty of time for discussion and sharing of experiences over coffee and cake. For more information on any aspect of our MAST team. All our welcome at our forthcoming MAST meetings. If possible please let Tina Balgobin know if you would like to join us Tina.Balgobin@lilianfaithfull.co.uk or on 01242 500414. Following a series of roadshows in 2018 on falls awareness our Chartered Physiotherapist James and Physiotherapy Associate Lucy are expanding the information and support available to residents, families and friends on falls awareness. They want to increase the awareness of falls prevention, help improve understanding of hazards especially for those whose cognitive ability is affected by dementia and give advice on practical ways to minimise risk. The team will be attending the 2019 MAST meetings to offer expert advice and will be planning events during the year in the homes.